We made a flyer of Area Contest! 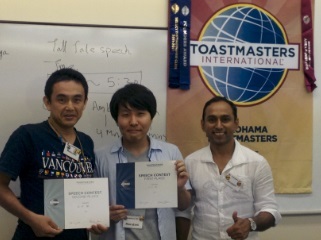 The 555th YTMC regular meeting was held on Sep. 7th. This time, we had very many contents(In-House Contest, Workshop, Induction Ceremony, Recognition for Immediate Past President etc.) and 15 guests came at the meeting! The English and Japanese In-house contests were very exciting. All members and guests, thank you for cheering and helping our contest! The workshop “Mentor Mentee” from our President was very good timing. 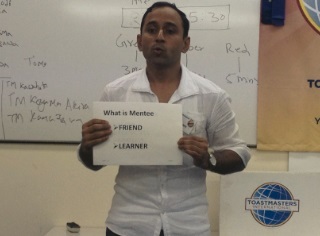 I think that 3 new members(Mentees) are of course, 3 new Mentors also need learn. Please do your best each other. And we have the Recognition for Immediate Past President. Even now, he is giving officers advices, very nice guy! Finally, The 1st and 2nd winners of both in-house contests advance to the Area Contest on 10/6. TM N.G., TM T.M. and me, let’s do our best! 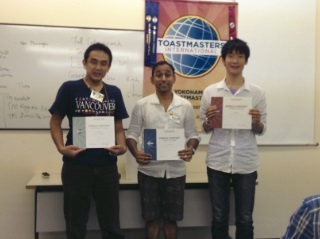 Induction Ceremony for 3 new members. Recognition for Immediate Past President. The 554th YTMC regular meeting was held on Aug. 17th. TM H.A., TM H.S. and me had double role. Thank you for their cooperation! And we had 6 guests at this meeting. How, 3 persons of them will become new member! I hope good luck with you and our club. The 554th YTMC regular meeting was called order by energetic voice of TM N.G. 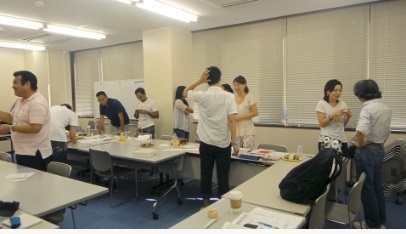 It was our regular meeting, and it became one of the special day in this year. Joke by TM G.M. 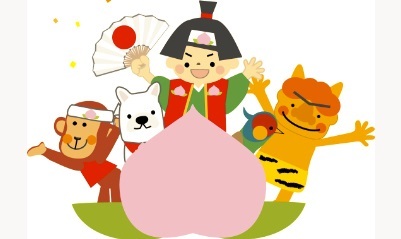 was focused on Tall Tale Speech, and everyone laughed with story of Momotaro. The workshop including Table Topic Session was hold in energetic way. TM H.S. the presenter showed image and example of Tall Tale Speech and asked to audience speak Tall Tale. In Prepared Speech Session, our President TM N.G. 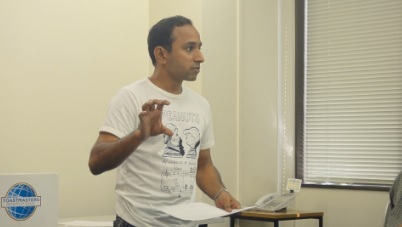 also hold workshop about making speech. 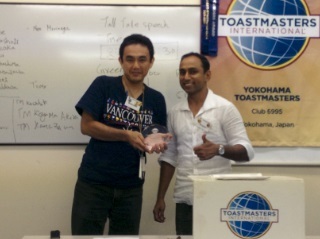 I was really moved, and I learned the value of speaking in front of a lot of people. 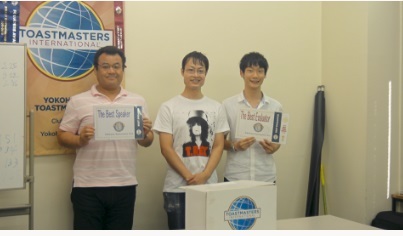 All Toastmasters Club in Japan will hold Tall Tale Speech Contest in this Autumn, Please check those informations, and let’s go to the contest place, and see the great speeches!